Hay Square Archives - Sennaya! A look back at Hay Square in some rare old photographs. Back in the Spring of 1896, a Czech photographer, Frantisek Kratky, visited St. Petersburg, Russia for the coronation of Russia’s last Czar, Nicholas II. While there he made images of the area in stereographs and a color process called Autochromes. Many photographers visited St. Petersburg with it’s many monuments and as the center of Russian culture since 1703 when Peter the Great founded St. Petersburg as his capital for Russia. The Soviets moved the capital back to Moscow in 1917. 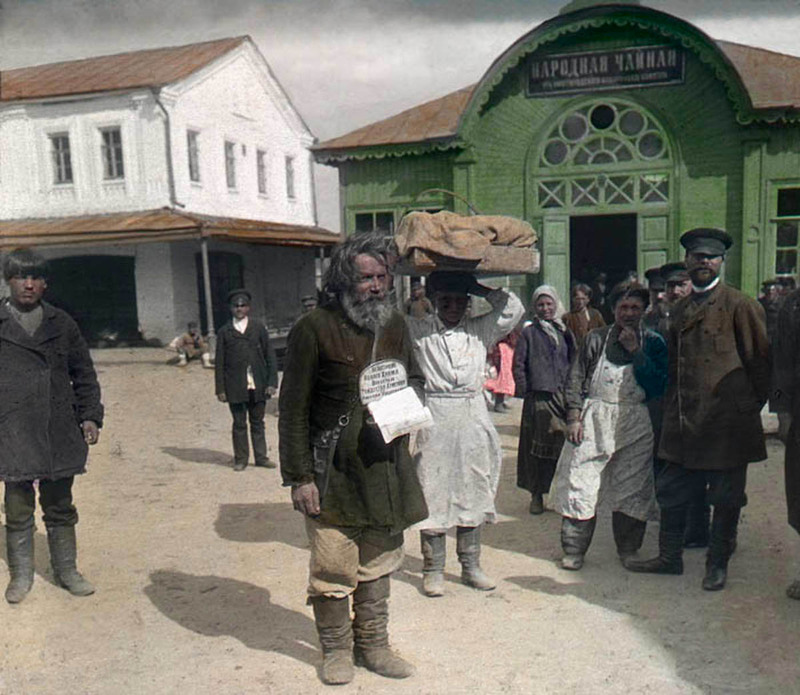 Before motion pictures autochromes were used to share color images. Potato starch and dyes were embedded in the films to create transparencies. These in turn could be projected and shared with many others at once. Many of the dyes faded with light from projection and the passage of time, but thanks to preserving them in digital form they continue to enlighten us about times gone by. 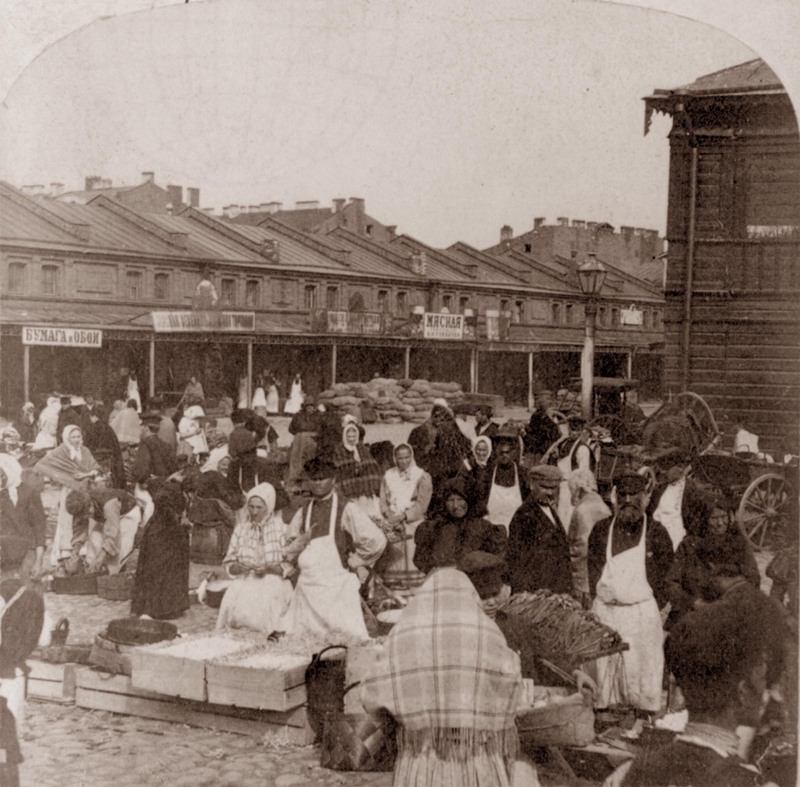 Sennaya Ploschad was the biggest market in St. Petersburg when Peter the Great was building his capital. People outside the city would bring in firewood, hay, vegetables. eggs and other wares to sell. Oldest photo we have found of Sennaya Ploschad from 1860. 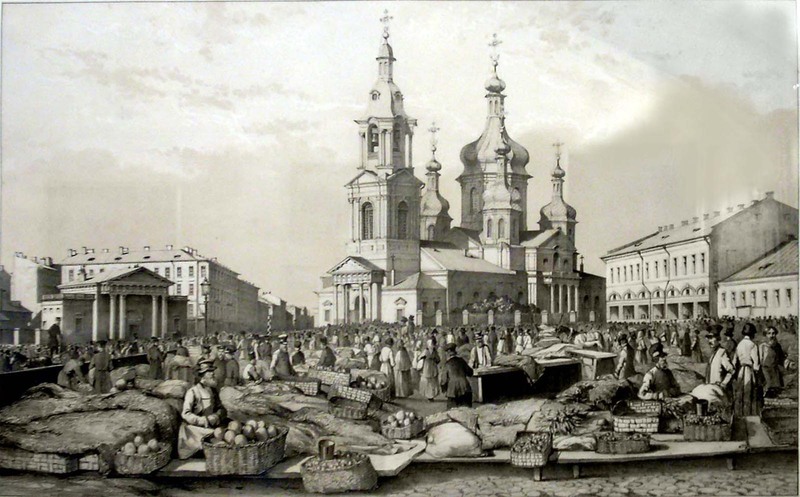 The Church of the Assumption Cathedral dominates the square with Hay Market merchant booths running almost up to the Church. Source unknown. The name Sennaya Ploschad means Hay Square and perhaps today we would call it a farmer’s market. Sadovaya Street, Sennaya Ploschad around 1900. 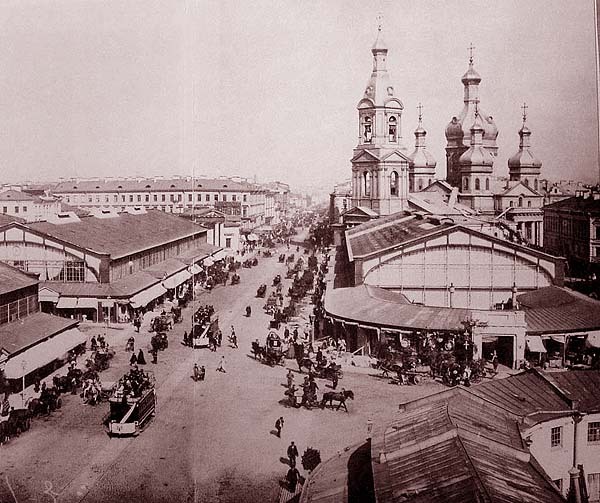 The large market building on the right is now where Sennaya Ploschad Metro Station sits and the large Church of the Assumption was removed in 1961 during Soviet times for the construction of the metro system. George Grantham Bain ran a news service out of New York and published the image from the turn of the century below. It is uncertain whether Bain took this photo or collected it from another to publish. Eggs for sale at Sennoi Rinok near Easter at the turn of the century. 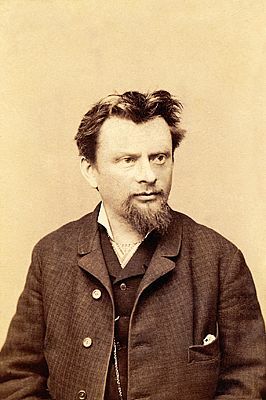 Photo from George Grantham Bain News Service. Before photographs many publishers published engravings, often collecting them into books to share the world to European and American readers. This engraving from France by Perro in 1841 show Sennaya Ploschad before the large market buildings were erected. The Hay Square in 1841 showing the many small vendors selling their produce in an engraving by Perro. The Church of the Assumption dominated the square until it was demolished in 1961 for Soviet progress. The small classical building on the left was used as a reptile museum during Soviet times before becoming a tourism center a few years ago. Read more about the history of Sennaya Ploschad. More about George Grantham Bain collection.